This week marked another PR disaster for writer Jonah Lehrer, the intellectual prodigy who has become a best-selling author for his books Proust Was a Neuroscientist, How We Decide and most recently Imagine: How Creativity Works. A few weeks back, Lehrer came under fire for recycling some of his past work in his new job as a staff writer for The New Yorker. This past week, he admitted that he fabricated quotes attributed to Bob Dylan in his latest book, and has subsequently resigned from the magazine all together. One thing is clear – when you get the most cherry gig in all of English-language journalism at age 31, you should expect that more than a few people may be fact-checking you in hopes of taking you down a notch. But I am not here to hogpile on a young man who is no doubt feeling the weight of the world on his shoulders right now. Quick success can be as much of a curse as it is a blessing, and while such amateur errors seem out of character, we cannot know what is going through someone’s head as they take on a heavy cultural mantle of being expected to provide exceptional wisdom day in and day out. I am more interested in why such awesome commercial success has been thrust on Lehrer and his publishing industry forebear, Malcolm Gladwell, author of the galactic best sellers The Tipping Point, Blink, and Outliers. In full disclosure, I am in their same business of providing non-fiction insights about the world around us, and every analysis I provide should be filtered for possible jealousy or self-consciousness. Regardless, I believe that the enormity of their success says as much about Western industrial economies and our culture as it does about their skills as public intellectuals. Neither Gladwell nor Lehrer attempt to cover single subjects with both breadth and depth, like, for example, Mark Kurlansky does in Salt and Cod. They swing for the fences and attempt to explain how “things happen” or “how brains work.” They mix together enormous fields that are still in their infancy, such as neuroscience, with popular fields like art and music and sports. In works of less than 500 pages, Gladwell and Lehrer attempt to enlighten the reader on How the World Works, What People are Really Like, and How Greatness Happens without getting into any of the technical details that would absolutely overwhelm the majority of the readers traipsing through airport book shop before grabbing their flight home. The incredible complexity of neurotransmitters, global supply chains, or police emergency response training is smoothed over, edited, reduced to a light and palatable narrative of someone with the speech pattern of an Ivy League education. More than actionable insights, this kind of popular analysis gives the reader something far more immediately valuable – the feeling that they have a sophisticated view of the world. Reading this kind of book, the sharp corners, uncomfortable realizations, insecurity, class struggle and information overload of the early 21st century is massaged away into a single comfortable feeling – our elites know what is going on, and the complexity of the world can be explained in a calm, hip, erudite way. It is no coincidence that this kind of book achieved its apex just as Dot Com One began to crash, and America’s bubble and war economies thrived in earnest against a backdrop of terrorism, job outsourcing and economic uncertainty. 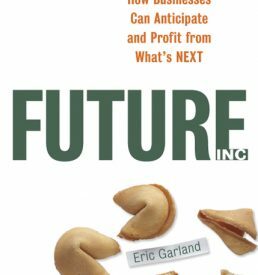 The Tipping Point emerged in the year 2000, at the height of mendacity of Dot Com One, just prior to the unveiling of the crimes of Enron, Global Crossing and the rest of their cohort who exemplified the excesses of fraudulent accounting and pure grift. And if you recall, even that which wasn’t pure fraud was still pretty weird – this was the era of Pets.com, “worth $4 billion but searching for a business model,” leased Porsche Boxsters, getting paid $60,000 to spell HTML, and other epic tomfoolery. The world was having a great time, but nothing made a whole lot of sense. Into this void of strangeness steps journalist Malcolm Gladwell, looking smart yet left-of-center with his trademark ‘fro and casual business dress. Nothing makes sense, but he could show you how trends emerge from mavens and connectors and Williamsburg, Brooklyn. He talks in code, discussing The Law of the Few, The Stickiness Factor, and The Power of Context. Instead of citing General Electric or Sony, he references Sesame Street‘s Elmo and Nickelodeon’s Blue’s Clues. Marketing people go berserk – here is a theory that will help them aim their giant budgets with the goal of hitting a “tipping point.” CEOs love the book because it explains “we’re in a brand new world” requiring “new strategies.” People in Brooklyn love the book because, well, it makes Brooklyn out to be important. MBA students, journalists, homemakers, bowlers, and for years pretty much every other literate person in the Anglo-Saxon world buys both a hardcover and softcover version. Gladwell makes enough money to live in his own ziggurat and travel the world in a golden sleigh drawn by a team of unicorns. All this because the book is perfect – it arrives at a time that the American model of economic growth is beginning to falter, and nobody is ready to look at the real problems. This type of intellectual material arrives as the perfect placeholder until the world is forced to consider that which could be inconvenient and ugly. And soon after, while Tipping Point is still selling pallet loads every nine seconds, the terrorist attacks of September 11, 2001 occur. In terms of absolute damage, it is a relatively small loss of life and property; despite the trauma, Americans continue to have reliable food supply, electricity, fuel and the basics of life. But the intellectual damage is catastrophic. For the years ahead, America will be unable to think rationally about its future, too busy jumping at shadows, launching wars of adventure, deepening its political divide, mocking dissent, and too busy relying on mythology to wisely assess and implement anything that looks like a coherent plan. America splits its valuable time between blowing an enormously obvious housing bubble, demanding Master’s degrees for entry-level positions, and badly managing the bloodbaths of Iraq and Afghanistan. Still desirous of wisdom about the world around us, the buying public turns to Gladwell’s smash sophomore hit – Blink: The Power of Thinking Without Thinking, which is an outstanding title given the intellectual environment. Gladwell takes his reader into “the connection between cutting-edge psychological and neurological research and human intuition,” focusing on how real decisions happen while bypassing our conscious powers of reason. This is a perfect message for the current environment, since from the presidential administration on down, America has by this time developed a deep and abiding mistrust of anyone actively engaging their capacity for logic instead of bowing down to the hyperbolic expansion of banks, military budgets or secret government surveillance regimes. Eventually, Gladwell turns to another blockbuster topic with Outliers– how really talented, rich and famous people got really talented, rich and famous, which dovetails nicely with our burgeoning national obsession with the Hiltons and Kardashians. The book also complements the emerging reality that becoming prosperous simply by getting a public education and doing a good job is becoming nigh-on impossible. Taken together all three of these books form a pattern when set against the backdrop of the major trends changing the United States, Europe, ascendant Asia, and indeed the whole world. The analyses proposed by Gladwell, and later continued by Lehrer, skate over the top of any of the real problems facing humanity, remaining on the surface of consumer and business trends without taking any kind of an empathetic look at what real people are experiencing. Their books are perfect expressions of the elite class that is running the world, since the concerns of the elite tend to be hermetically sealed from any of the problems of the middle or lower classes, whose troubles are being amplified as the 21st century grinds on. In America, fewer people are covered by health insurance than in 2000 – but you won’t find those concerns in books on “how we make tough decisions super quick.” In the time since The Tipping Point came out, student loan debt has quintupled in the US alone, saddling people from age 20 to 65 with loans they may never eliminate entirely. Outliers rehashes the Buddhist notion of spending 10,000 hours on a livelihood, but certainly doesn’t waste time sweating about how to have a crack at success is going to mean more risk of personal bankruptcy than ever before. The suburban pattern of development is proving to be a complete disaster for our collective futures, as we have both peak oil and trillions of dollars of housing bubbles still facing us. Don’t bother looking for that set of decisions in any books that talk about how Marcel Proust thought of the thematics of neurolinguistic romanticism in Du côté de Chez Swann. And in the decade where many of our democractic institutions seemed to fold in the face of torture regimes and central bank Ponzi schemes, we avoided looking at the actual way “trends” emerge through policy decisions behind closed doors in favor of “mavens” and “connectors” in “hip neighborhoods.” Never mind the actual power structure of the world, let’s focus on hipsters. These intellectual contributions were the perfect complement to the power structure of the last decade, in which all too many senior executives have abdicated leadership in favor of fleecing many of the institutions they were sworn to protect. Dealing with discomfort, honest self-analysis instead of shallow, pseudo-scientific reflections on “the brain,” speaking truth to power, enforcing checks and balances – these things have all been out of fashion in a world where we worship power and forget the trials of history. It should be no surprise that we buy millions of copies of books that let us go through the motions of thinking about civilization without any of the challenges that any useful idea will force on us. Returning to the plight of Jonah Lehrer, I cannot say I’m surprised that he seems to have made some unforced errors as he sits atop the world of journalism at age thirty-one. Perhaps he no longer wants to play this game. He will be inheriting the world that this type of thinking creates. The world expects regular insight from him, and if he is as smart as he appears, he might not be able to play this game with a straight face much longer. Perhaps Lehrer will be back with some real material, and instead of blathering about Bob Dylan, he will be examining how we can alleviate poverty in crumbling American cities. It won’t be as hip or as clean, but maybe he will be able to sleep at night.